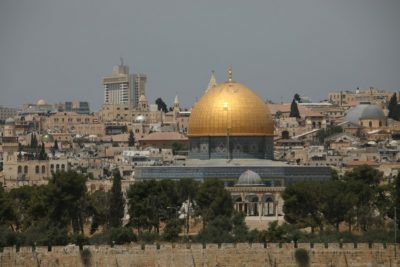 In the latest in a series of aggressive and provocative measures against the Al-Aqsa Mosque in Jerusalem, the third-holiest site in the Islamic religion, Israeli police on Sunday abducted two high-level officials with the mosque. This comes a day after Israeli police abducted a security guard at the mosque as he was leaving work, and two days after abducting two young women who had come to the mosque to pray despite the Israeli military’s closure of entry to the mosque. The two abducted officials are Sheikh Abdul-Athim Salhab, the Head of the Council of Islamic Affairs and Holy Sites in Jerusalem, and Najih Bkirat, the Deputy Director General of the Islamic Endowments Department in Jerusalem. Israeli officials then stated that they had made an administrative decision to have the two men removed from the Al Aqsa Mosque for seven days . Mohammed Mahmoud, the lawyer for the Islamic Waqf (Endowment) which runs the holy site told reporters, “The Israeli police took a precautionary decision prior to the two officials’ appearance in an Israeli court, preemptively arresting them”. The Israeli forces arrested Sheikh Salhab and Bkirat from their homes in occupied Jerusalem. They were later brought to the detention and interrogation center known as Muskoubiya, west of the holy city . It is noteworthy that Sheikh Salhab helped lead the worshipers who reopened the building and chapel of Bab al-Rahma in Al-Aqsa on Friday. Also, the Islamic Waqf Council was restructured several weeks ago, and a decision was made that the organization should be headed by Sheikh Salhab. Thr Jordanian Minister of Awqaf and Islamic Affairs Abdul Nasser Abu Al-Basal told reporters Sunday that the Israeli government’s decision to arrest the two men was “playing with fire”.